Our goal at Maui Smile Works is to create fabulous smiles and healthy bites for our patients that will be valued for a lifetime! 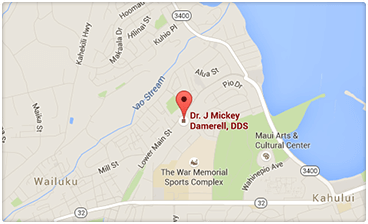 Dr. Damerell works closely with your general dentist to treatment plan each case and encourages routine dental care every six months as well as good oral hygiene at home. Flexible scheduling! Saturday and evening appointments are available. This allows you to complete your orthodontic appointment and a monthly trip to Costco at the same time! Affordable treatment options with flexible no interest payment programs available. We accept direct payment for most insurance plans and submit forms for you. Safety and comfort are of the utmost importance in our practice. Our sterilization procedures brings a whole new level of protection to our patients. We deliver the highest standard of sterilization in dentistry.